Shortly after the GDPR effective date of May 25 rolled around, email marketers were reporting losses on their lists of up to 80%. The law, to which the U.K. entered before exiting the E.U., even had proactive marketers who hadn’t seen losses keeping mum about their practices that were letting them remain in E.U. citizens’ good graces. 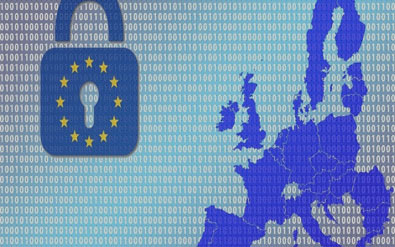 The data privacy law protects E.U. citizens and gives them the right to erasure, the right to select preferences for how marketers can use their data and more. One such proactive marketer — Bryta Schulz, VP of marketing at Janrain — told Robin Kurzer of MarTech Today for the article published July 16 that “we were pleasantly surprised to learn that our customers and prospects were very receptive to receiving our ads. But Shulz said that while Janrain saw a 36% increase in email opt ins, only 22% of customers beginning the double-opt-in process completed it. In a related matter regarding marketers opting for first-party data, MarTech Today reports E.U. websites load much faster without “unnecessary” third-party tracking tags, ad servers, Google services/analytics and social media plug-ins. “For a long time, WHOIS and ICANN were [criticized] for risk connected to exposure of personal data stored in the database to various malicious attacks. Identity theft is one frequent example of such risk. EPAG argued that based on ‘data [minimization]’ principle embodied in the GDPR, it can only collect the domain name registrant’s data. While some may believe the first GDPR complaints came from those with an axe to grind against U.S. tech companies, they did go after the most common E.U. citizen gripe post-GDPR. French activist group La Quadrature du Net and noyb.eu (the Max Schrems “None of Your Business” organization), European Center for Digital Rights, alleged entities like Google, Instagram, WhatsApp and Facebook were adopting a “take it or leave it” approach to E.U. citizens needing to opt in. Schrems argued that telling E.U. citizens to opt in or the company would block their accounts amounted to “forced consent.” And those companies didn’t need to use E.U. citizens’ private data in order to allow them to use the products and services — they had enough data without the private information, he argued. These complaints are still pending. Nova says journalists can still take pictures of individuals at public events without their consent if it’s for the news or public interest.